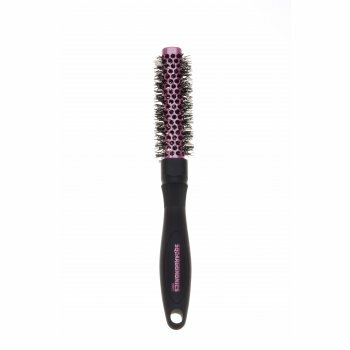 A Denman DSQ1 Squargonomics 20mm Brush is designed for use on short, cropped hair styles. It features a pink square barrel with crimped bristle brush. The square barrel provides styling &apos;edges&apos; for added volume and improved straightening performance. Crimped bristles are gentler on the scalp for added comfort. As the barrel size increases, the more volume is added.